Objectives The Advisory Committee on Immunization Practices (ACIP) and the American College of Obstetricians and Gynecologists (ACOG) recommend that pregnant women receive the Tdap vaccine during every pregnancy. The objectives of this paper are to evaluate disparities in Tdap vaccination among pregnant women in the U.S., and to assess whether race/ethnicity and other characteristics are associated with factors that inform pregnant women’s decisions about Tdap vaccination. Methods We conducted a nationwide cross-sectional web-based survey of pregnant women in the U.S. during June–July 2014. The primary outcome was self-reported vaccination status with Tdap during pregnancy, categorized as vaccinated, unvaccinated with intent to be vaccinated during the current pregnancy, and unvaccinated with no intent to be vaccinated during the current pregnancy. Secondary outcomes included factors that influenced women’s decisions about vaccination and information needs. We used multivariable logistic regression models to estimate odds ratios for associations between race/ethnicity and the outcomes. Results Among pregnant women who completed the survey, 41% (95% CI 36–45%) reported that they had received Tdap during the current pregnancy. Among those women in the third trimester at the time of survey, 52% (95% CI 43–60%) had received Tdap during the current pregnancy. Hispanic women had higher Tdap vaccination than white women and black women (53%, p < 0.05, compared with 38 and 36%, respectively). In logistic regression models adjusting for maternal age, geographic region, education, and income, Hispanic women were more likely to have been vaccinated with Tdap compared with white women (aOR 2.29, 95% CI 1.20–4.37). Higher income and residing in the western U.S. were also independently associated with Tdap vaccination during pregnancy. Twenty-six percent of surveyed women had not been vaccinated with Tdap yet but intended to receive the vaccine during the current pregnancy; this proportion did not differ significantly by race/ethnicity. The most common factor that influenced women to get vaccinated was a health care provider (HCP) recommendation. The most common reason for not getting vaccinated was a concern about safety of the vaccine. 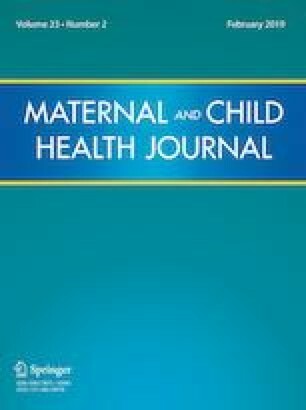 Conclusions This study found that some disparities exist in Tdap vaccination among pregnant women in the U.S., and HCPs have an important role in providing information and recommendations about the maternal Tdap recommendation to pregnant women so they can make informed vaccination decisions. The online version of this article ( https://doi.org/10.1007/s10995-018-2633-8) contains supplementary material, which is available to authorized users. This project was supported by the U.S. Centers for Disease Control and Prevention. The findings and conclusions in this report are those of the authors and do not necessarily represent the official position of the U.S. Centers for Disease Control and Prevention. CDC Immunization Schedule. (2018). Immunization Schedule for Infants and Children (Birth through 6 Years). Retrieved from http://www.cdc.gov/vaccines/schedules/easy-to-read/child.html. Centers for Disease Control and Prevention. (2017). Pregnant women and Tdap vaccination, internet panel survey, United States, April 2017. Retrieved from https://www.cdc.gov/vaccines/imz-managers/coverage/adultvaxview/pubs-resources/tdap-report-2017.html#data-source-methods. Centers for Disease Control and Prevention [CDC]. (2014). 2013 Final Pertussis Surveillance Report. Retrieved from https://www.cdc.gov/pertussis/downloads/pertuss-surv-report-2013.pdf. Pew Research Center. (2015). Statistical portrait of Hispanics in the United States, 1980–2013. Retrieved October 19, 2015, from http://www.pewhispanic.org/2015/05/12/statistical-portrait-of-hispanics-in-the-united-states-1980-2013/.